When the lookout cried Land ho! Published in Issue 37 of The Ofi Press. Anastasia Walker is a transgender writer and scholar. Her work was recently published in Wilde Magazine; her previous publications – some poetry and several scholarly pieces – appeared under her given (male) name. She is currently also revising a memoir about a year she spent living in eastern Maine with her parents after separating from her second wife and losing her teaching position at the start of the recent global economic nosedive, during which time she watched her father almost die from a heart attack and finally began to embrace the prospect of transitioning. She lives and works in Pittsburgh, Pennsylvania, where she is daily engaging in the richest, most challenging inquiry into living that she has pursued in her five decades. 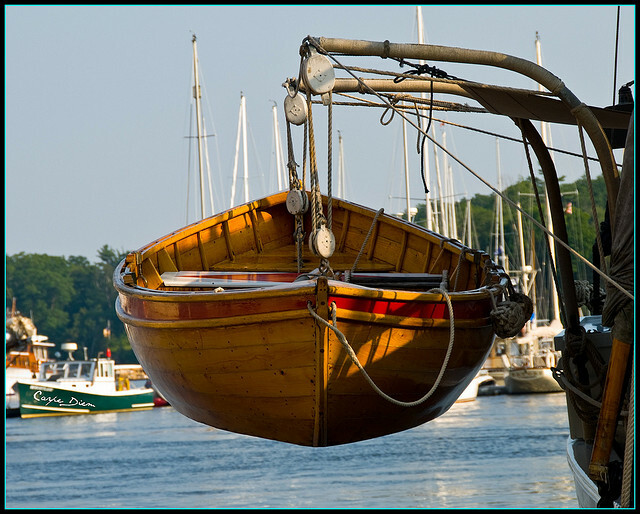 Image: "Lifeboat" by Tony Fischer.